Floating Handheld Built Tough for the Marine Environment. 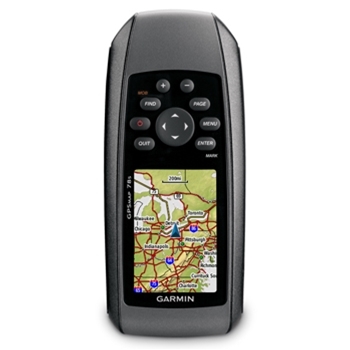 If you’re searching for a handheld GPS you can use on the boat as well as on your next hiking, hunting or geocaching adventure, the GPSMAP 78S is your unit. Housed in a durable casing, this rugged handheld is designed to handle the tough marine environment. Rubber grips have cleverly been added to the sides of the unit to prevent it from slipping out of your hand. However the GPSMAP 78S is waterproof, meets IPX7 standards and floats, so it is safe if it takes an unexpected dip in some water. Garmin built the GPSMAP 78S with the boater in mind but loaded it with features that are usable in any outdoor application. 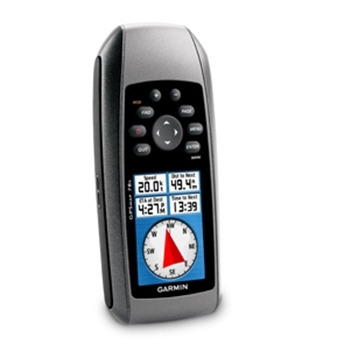 The internal, 3-Axis, tilt-compensated electronic compass guarantees you always know where you are going by giving you an accurate heading even when standing still while the barometric altimeter gives you accurate elevation and tracks changes in pressure over time to keep you ahead of changing weather conditions. The GPSMAP 78 S also has a high sensitivity GPS receiver with HotFix technology that will ensure you receive a fast satellite lock and accurate position readings. The 2.6” transflective color display has a 160 x 240 resolution and is viewable in any lighting condition. 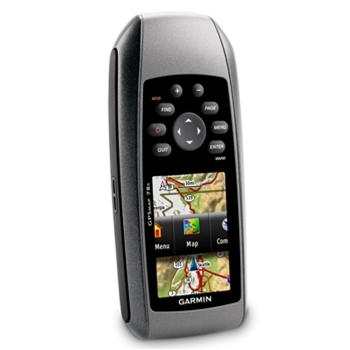 Other great features of the GPSMAP 78S include the ability to wirelessly share waypoints, routes, tracks and geocaches with other compatible Garmin units. The 78S can also accept maps from the optional Garmin Mapsource products and the BirdsEye Satellite imagery subscription. There is 1.7 GB of memory on the unit for you to use and a microSD card slot for you to add additional memory if needed. The 78S also supports geocaching GPX files for downloading geocaches directly to your unit. With its rugged, waterproof design, flexibility, and outstanding features, the Garmin GPS MAP 78S is a must have for your next outdoor adventure. Each GPSMAP 78S comes with: GPSMAP 78S with pre-loaded worldwide basemap, USB cable, wrist strap, quick start manual, and a One-Year Warranty. 1.7gb of Internal Memory to Load Garmin Custom Maps.